"WHERE IT’S AT" is now available on iTunes. 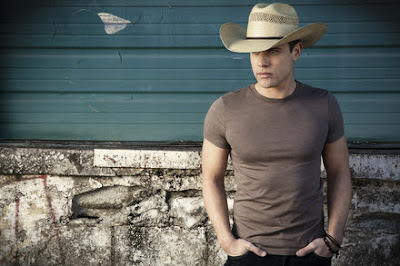 Broken Bow Records’ Dustin Lynch will take Denver fans to new heights on his upcoming first major headline run – HELL OF A NIGHT TOUR. On Friday (8/21), the 3,800 available tickets for the rising new artist’s November 20th tour stop at the Fillmore Auditorium in Denver, CO, SOLD OUT in just 12 hours after tickets went on sale to the public. Living up to the reputation as one of the “Young Guns” leading Country music’s changing of the guard (Billboard), Lynch’s HELL OF A NIGHT TOUR will cover 35+ cities, including major stops in New York City, Boston, Houston and New Orleans, and features special guest Big Loud Records’ Chris Lane. Lynch’s hit single “Hell Of A Night” climbs to the #3 spot at Country radio this week and fans can catch him performing the top-selling tune on NBC’s TODAY show next Wednesday (9/2). Since releasing his PLATINUM debut single, “Cowboys And Angels,” Lynch has launched on to the country music scene. Racking up over 34 million views on YouTube/VEVO, notching 68 million plus streams on Spotify, soaring to #1 on the MTV Music Meter and selling 2.7 million digital singles, he brings a fresh combination of traditional influences and edgy intensity to the genre. Producers Mickey Jack Cones, Brett Beavers and Luke Wooten showcase his progressive sound throughout his sophomore album, WHERE IT’S AT (Broken Bow Records), which debuted at #1 on the iTunes Country Albums Chart upon release, delivered the multi-week #1, PLATINUM-certified title track and has tallied over 1 million tracks sold to date. For on sale dates and more, visit DustinLynchMusic.com.